Classic cars boast a lot of features you don’t see in contemporary models, but did you know that at one point those features even included–well, were going to include–illuminated tires? The idea started floating around in the 50s, but nothing really came of it until Goodyear started mulling it over in the early 1960s. Dubbed as one of the “most dramatic tire developments in the history of the industry,” these tires were made of a synthetic rubber known as Neothane. 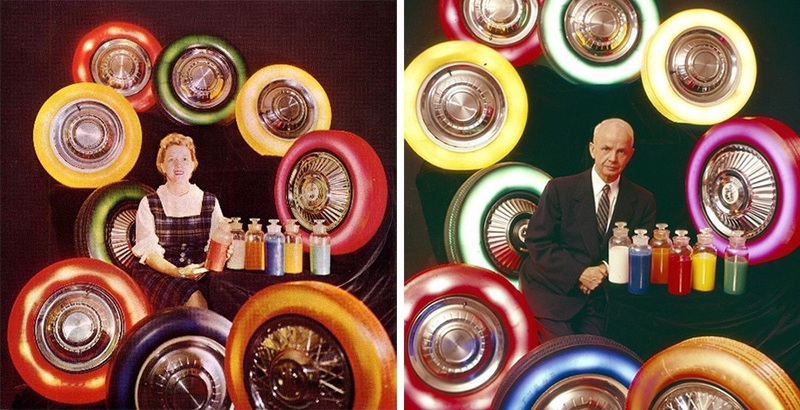 Goodyear used the translucent material, dying it various colors–bright green, yellow, blue, and red, just to name a few. 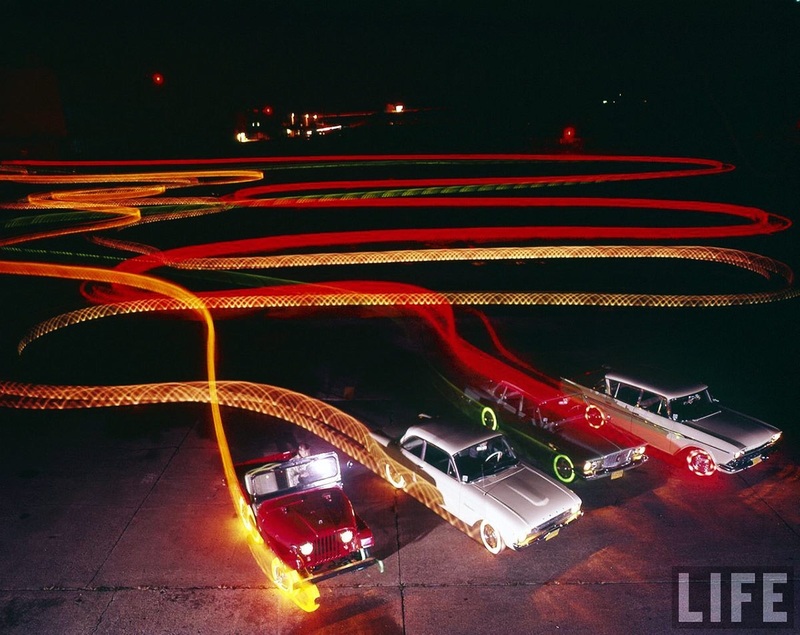 Then, the company put 18 small light bulbs, which were essentially dash lights, inside the tires, giving them the glowing effect seen in the photo below. While the synthetic Neothane was durable and quite simple to make, as it combined plastic and rubber characteristics, there were several detractors that made the fad fade a bit more quickly than Goodyear may have wanted. For one, the material was too expensive for tire production. The tires also performed poorly in wet conditions and tended to melt when drivers braked too heavily–talk about safety hazards! There were also reports, such as the quote below, that the peculiar glowing tires fascinated passers-by and other drivers, even causing them to keep on driving…right through red lights. Due to those serious issues with the Neothane–and a seemingly passionate team of engineers–Goodyear worked for a decade on trying to fix the shortcomings, but to no avail. Eventually they were forced to scrap the project. You were sure to be noticed on the street with tires like these! While the technology of the time might not have been able to implement illuminated tires, perhaps a contemporary designer may bring the notion into discussion for today’s audience. After all, who wouldn’t want light-up wheels for all those late-evening cruises? You can see the tires in action for yourself in the video below, which focuses on the recently recovered Golden Sahara. Perhaps we’ll do a blog post about this car sometime in the future, considering it went for over $300,000 at the Mecum Auction last year, and it is honestly one of the oddest, coolest looking cars we’ve ever come across.